There is just something wonderful, warm and cozy about the fall! I think it has to do with the beautiful colors, and crisp air. Where we live, we have lots of trees that are covered in colors of gold, red, coral and brown. I love to bring the colors of the outdoors inside whenever possible. 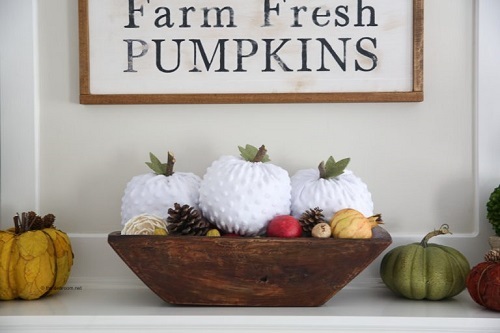 Today, I have gathered some Inexpensive Fall Decorating Ideas that will help you to do just that. Happy Decorating!